While many people use the terms boss and leader interchangeably, they don’t necessarily reflect the same concept. You can be a boss without being an effective leader, depending on the traits you exhibit. Do you focus solely on your employees’ ability to complete tasks, or are you a resource to help them grow and learn as professionals, helping them do their job better? If you are wondering which category you fall in, here are five questions you should ask yourself. 1. Do You Talk or Listen More? Many managers believe leading means taking center stage and being heard. However, if you aren’t listening to your team, then you aren't a true leader. If you want to be an effective manager, learning to spend more time listening to your team is a must. While this doesn’t mean you can’t offer insight or provide guidance, it does mean striving to genuinely hear what your staff has to say before formulating a response. By using this approach, your team feels heard, understood and cared for, creating an environment filled with mutual respect. 2. Are You Open to Learning? A boss typically has a mindset that they already know everything they need to know to be effective in their role. In contrast, a leader understands there is always room for improvement, making them open to learning at all times. Being open to learning doesn’t just mean participating in training or similar educational ventures. It also involves embracing the idea that your team may have knowledge to offer. Being open to new ideas helps your team create a culture of innovation. 3. Do You Direct or Coach? When a boss wants something done, they dictate to their staff what needs to be accomplished and how. When a leader wants something accomplished, they may provide guidance and best practices, but might not explicitly outline the employee’s approach. By coaching instead of directing, you empower your team to find workable solutions that achieve the desired target. It promotes exploration and innovation, instead of creating an environment that stifles personal growth or stymies a curious nature. 4. Do You Focus on Weaknesses or Strengths? Often, a boss is all too aware of their team’s weaknesses. They may criticize a person’s capabilities or try to force improvements, even if the skill falls outside of a person’s wheelhouse. In contrast, a leader learns to focus on their staff’s strengths. They encourage people to take on tasks that match their talent while also supporting them as they strive to improve on their weak areas without being unnecessarily critical, concentrating on providing constructive feedback above all. 5. How Do You Judge Success? A boss typically identifies their desired results with a mindset that they are mandatory. They may threaten their staff with punishment if they don’t achieve the goal, creating an atmosphere based on fear. Leaders instead work to inspire a stellar performance. They may outline the objectives, but use a tone of excitement and encouragement to enhance team morale, ensuring everyone believes the goals are achievable. This creates a culture based on support and trust, crafting a more pleasant work environment – one where the strong work that’s promoted and encouraged leads to goals being met. By asking yourself the questions above, you can determine if you are a boss or a leader in the eyes of your team. 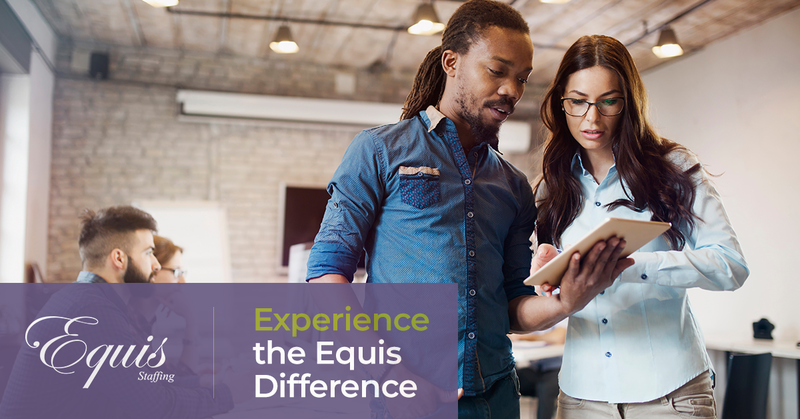 If you would like to learn more, the professionals at Equis Staffing can help. Contact us today and see how our expertise can benefit you.